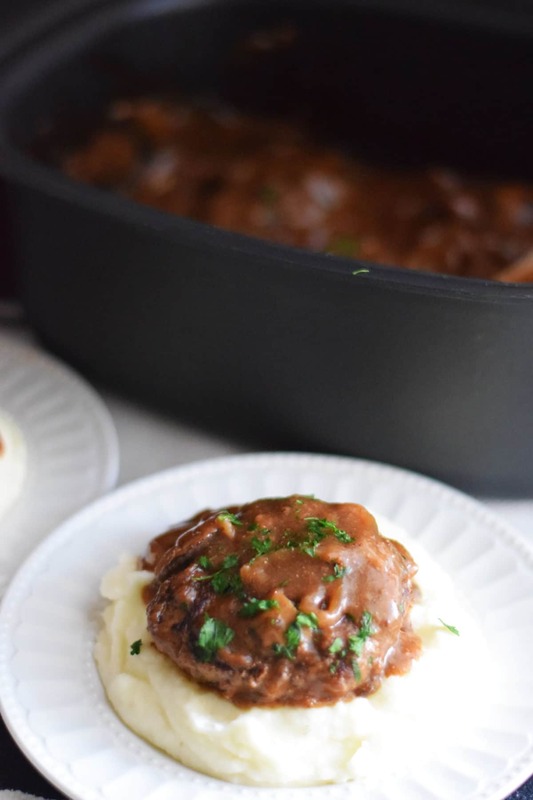 Slow Cooker Salisbury Steak is comfort food at its best…scrumptious beef patty smothered in a deliciously rich mushroom and onion gravy. 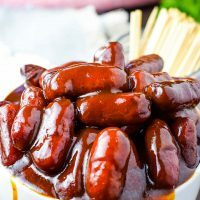 All cooked to perfection in the slow cooker! 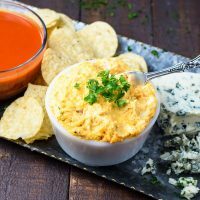 As fall has begun and cooler weather starts to slowly set in, many of us long for comfort food. Although, here in Florida and it still isn’t cool by many standards, the breeze has kicked up a bit and I can just feel fall just longing to burst on in! My taste buds also start longing for a bit of comfort too. I start craving thinkgs like mashed potatoes, creamy mac n cheese or maybe a nice slice of chicken pot pie. 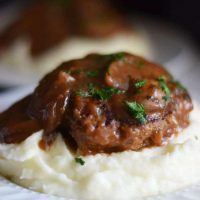 But this Slow Cooker Salisbury Steak is a family favorite that always gets whipped up in our kitchen just as soon as I pull out the fall decor! This meal is as satisfying to the belly as it is the soul. Fall is a time of reflecting on gratitude and thankfulness, and during this time I think our tummies long for comfort as much as our hearts do. Let’s get to cooking up this meal made with lots of love! 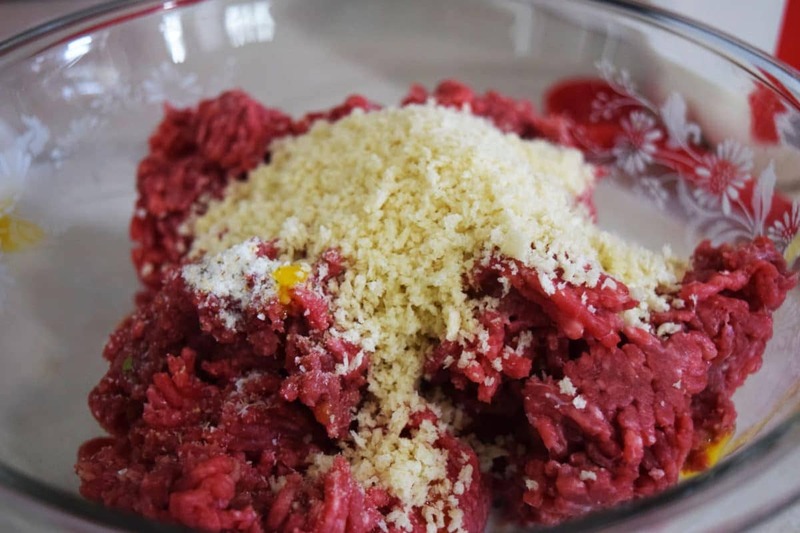 In a bowl, combine hamburger mixture and form 6 patties. Brown in a skillet or slow cooker, if it has a saute feature. Remove beef patties and set aside. 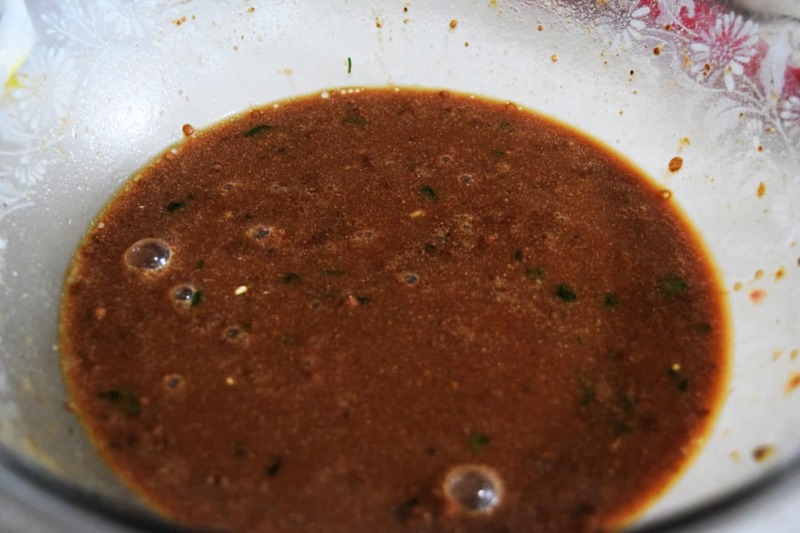 In a bowl combine gravy mixture ingredients. Layer mushrooms and onion slices on the bottom of the slow cooker. Pour gravy mixture over the mushrooms and onions. Then add patties to the top and move around until coated in gravy. Place on lid. Set to high for 4 hours. After cooking is complete. Mix slurry mixture. 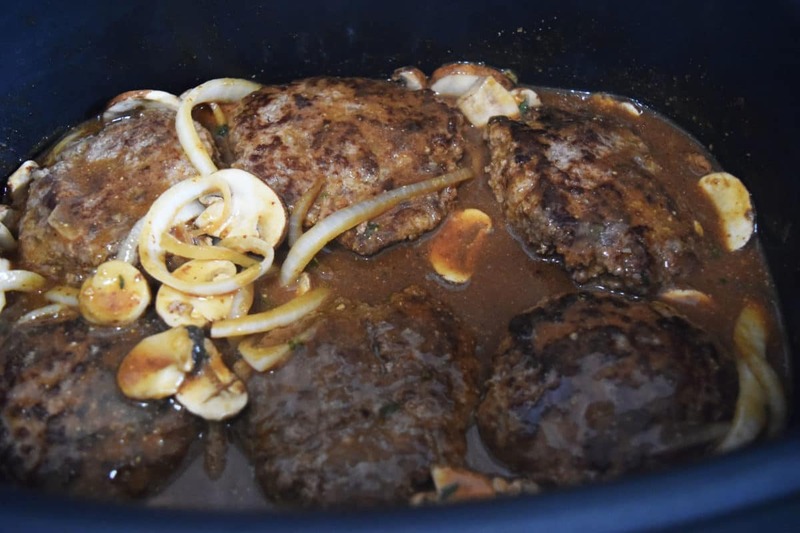 Move patties to one side of slow cooker. Pour in slurry and stir around to thicken. 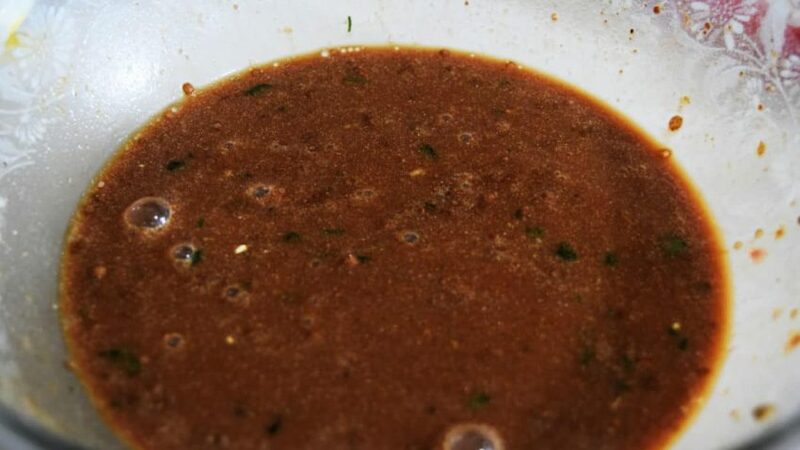 Move patties back into gravy and stir to coat with gravy. Garnish with fresh parsley to serve. Round out this meal with these delicious Instant Pot Mashed Potatoes (recipe will be up this week) and some Garlic Butter Green Beans ! Also head down and check out all the slow cooker comfort foods my taste making friends from Sunday Supper are making! 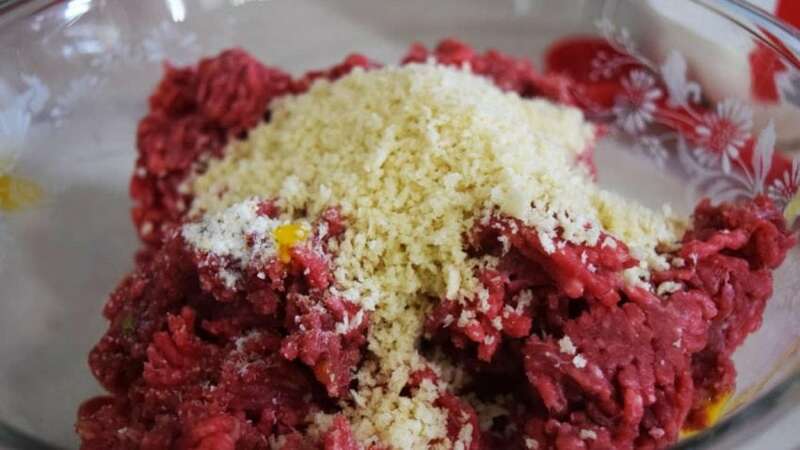 In a bowl, combine Patty mixture and form 6 patties. Brown in a skillet or slow cooker if it has a saute feature. Remove beef patties and set aside. Layer mushrooms and onion slices on the bottom of the slow cooker. Pour gravy mixture over the mushrooms and onions. Then add patties to the top and move around until coated in gravy. Place on lid. Set to high for 4 hours. After cooking is complete. Mix slurry mixture. Move patties to one side of slow cooker. Pour in slurry and stir around to thicken. Move patties back into gravy and stir to coat with gravy. Serve. I am sharing this over at two of my favorite link ups! 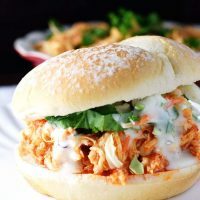 Make sure to head over and find all the deliciousness going on at Weekend Potluck and Meal Plan Monday! if I bump up to 2lbs beef should I adjust the seasonings? How much of each if I do? I have not tested, but honestly I think this mix would be fine with 2 lbs. It looks just like the picture n taste sooo good!! Pat, that is wonderful to hear! I am so glad you enjoyed it! Hi! Do I cook the meat in the skillet until it’s done all the way through? Or do I just brown it and it will cook the rest of the way in the crock pot? Thank you! If I were using Multi-function cooker, would you do pressure or slow cooker feature? You know I’m not sure I’ve had Salisbury steak (not a British thing) but this looks great so might have to finally get round to it! Thank you so much Carolyn! It is so easy and very tasty too! I am so glad you stopped in! Come back and see me soon! I adore Salisbury Steak! 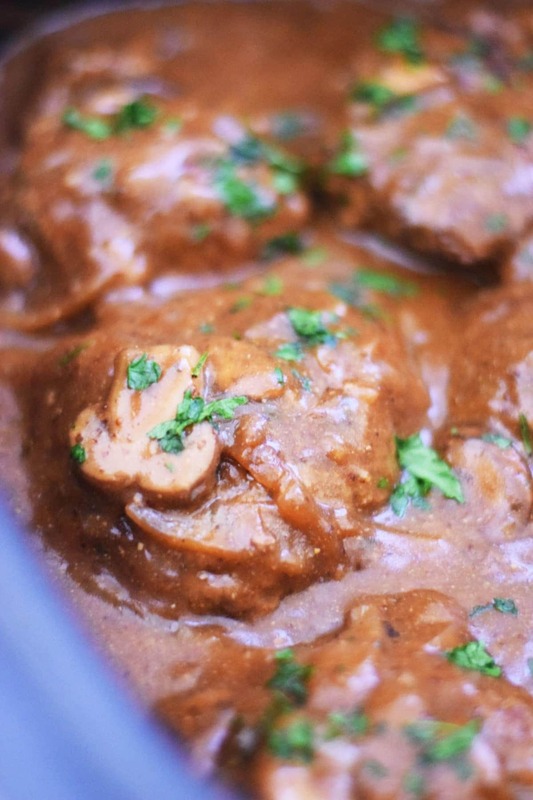 I love that you made it in the slow cooker and that gravy looks to die for! 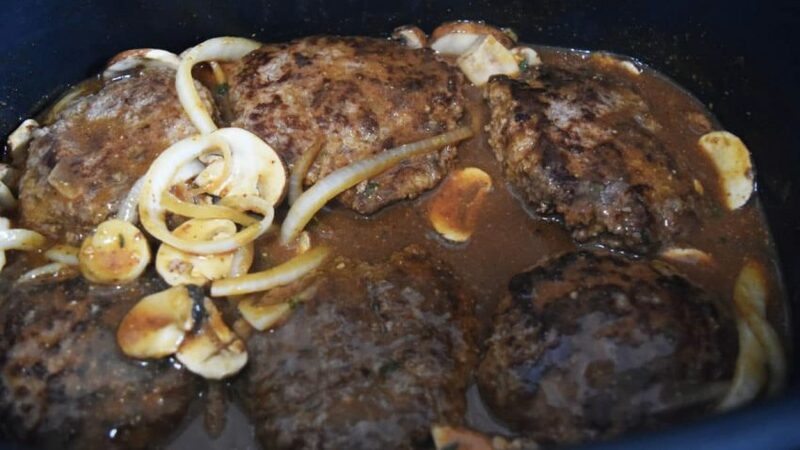 This salisbury steak looks delicious!! mushroom gravy is my fav! I agree! The more mushrooms the better! 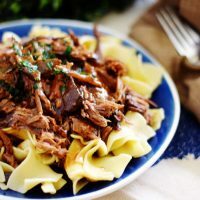 some great slow cooker comfort food here! Thank you David! It’s that time of year for comfort food! Thanks for stopping by! Printed the recipe and I’m making it this week. Looks AMAZING! Thank you so much Debra, that makes my day! I would love to hear how you it goes! This is such a delicious looking plate! I esp love that it’s slow-cooker. Thank you so much Nichole! I love making it in the slow cooker. I have had mine out a lot lately! I can’t wait to make this for my father in law. Believe it or not I have never had salisbury steak but it looks so good! Thank you so much Denise! It’s so easy to make! A very rich and delicious meal! I hope he loves it! I would love to hear how it goes! 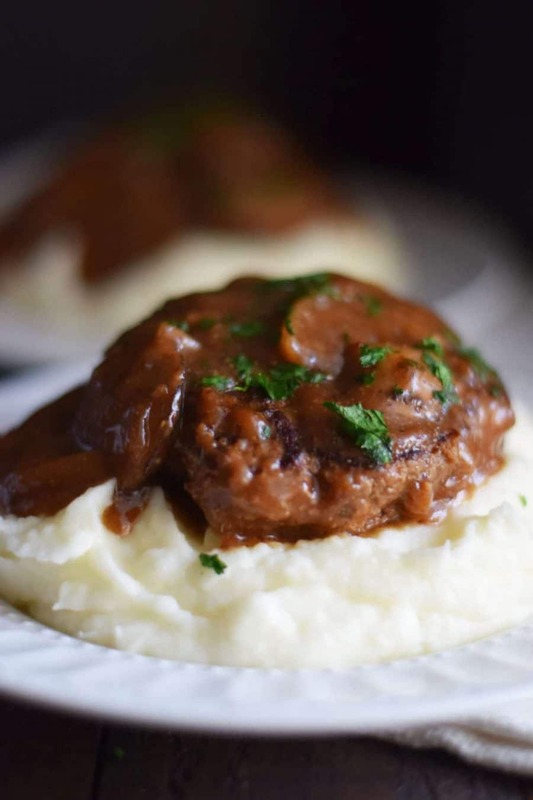 Salisbury Steak is one of my favorite comfort food recipes! I can’t wait to try it in my slow cooker. Arlene I hope you love it! Please let me know what you think!! So fabulous served over mashed potatoes. Comfort food at its finest.